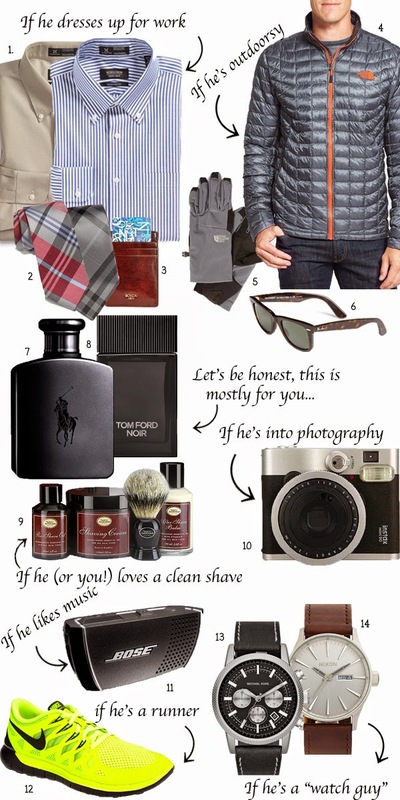 Robyn Vilate: Gifts for the hubs/significant other! Gifts for the hubs/significant other! I don't know about you guys, but my hubby is usually the hardest to shop for! Fortunately he is a definite "watch guy" so I can never go wrong with a nice watch! He also always needs nice clothes and shoes for work so ties and wrinkle free shirts like these above are a no brainer! Also, don't forget about all the amazing holiday sales going on right now with shipping that will get your items to you before Christmas! Only one week left!! What does your guy like and what will you be splurging on for the holidays?! I love these picks and I love your new site! Greats gifts , really amazing. Thanks for sharing.